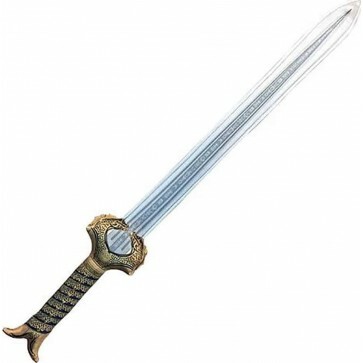 The Wonder Woman SWAT™ sword is based on the related screen used prop from the film for accurate, safe role-play action. The 30 inch long soft sword features a dragon-themed gold hilt and Amazonian runic based script on its blade. Motion activated sound effects add a dramatic flare your cosplay affairs. Pairs perfectly with the Wonder Woman SWAT™ Shield which is also for sale here at Oldies.com.